The Philippines’ armed services modernization program took a strange and alarming turn recently as President Benigno Aquino III’s final term comes to a close. The program took a nasty hit in July when the newly installed chief of staff General Hernando Irriberi, called for and successfully led an effort to push back the shore-based missile project in favor of purchasing more helmets, body armor, squad weapons and tactical radios. Then came the one-two punch, with another newly minted flag officer—navy Rear Adm. Cesar Taccad—stating during his August swearing-in, “No expansion is happening. They [China] are just pursuing their interests”—a stunning commentary in light of accelerated reclamation efforts by the People’s Republic of China in the contested Spratly Islands. The developments are both alarming and puzzling, given Aquino’s platform and track record to improve the nation’s external defense posture. More important, it comes on the heels of several stalled key acquisitions that were to be delivered during his term, including the on-again, off-again frigate program, the long-range maritime patrol aircraft and the air defense radar network. As a lame-duck incumbent, Aquino’s reticence in responding to such contradicting moves on his agenda is a sign of local political culture; he is leaving the cleanup and next moves to whomever inherits his office. Chief of Staff Irriberi’s motivation appears purely patriarchical; the army has received the smallest share of the overall modernization budget—to date approximately 10 percent of the monies allocated. Notably, he would neither account nor comment on previous tranches of the same equipment for which the missile systems were sacrificed—thousands of pieces of force protection gear, including vests and other items obtained in the past few years that never made it into service; the gear languishes in warehouses, labeled as defective and remaining untested. Admiral Taccad’s comments appear to be a circling of the wagons—every move made since the acquisition of the former U.S. Coast Guard Hamilton cutters has been aimed toward improving the incremental capabilities of the sea service, with a mind to increasing presence in the disputed areas of the Western Philippine Sea. These latest developments have put a huge dent not only in the modernization progress of Asia’s weakest military, but potentially into American foreign policy as well. With sequestration still a significant factor, the U.S. pivot to Asia is counting more than ever on improving the capabilities of friendly regional powers, without having to invest significant amounts of money or to commit additional military forces. Such a strategy relies heavily upon each of those nations making the necessary efforts and expenditures to stand up a military that can interoperate with U.S. forces and provide some of the presence operations sorely needed to check China’s Nine-Dash Line agenda. The Philippines still has only a tenuous hold on its claims in the Spratlys, and even having pulled out of a 13-year “death spiral” of declining spending and degraded capabilities, the culture of American dependence has not yet been fully broken. Despite an influx of net-new platforms (various army vehicle transports, navy and air force helicopters, medium lift turboprops), the bulk of assets within all service branches are aging or excess defense articles (EDA). It is the latter category that is complicating and potentially delaying progress in the modernization program; as regional and superpowers upgrade their own systems, the discards become part of an EDA effort to boost lesser-equipped allies. It is strongly believed that the recent announcement by Japan to start retiring their license-built P-3 Orions in favor of homebuilt Kawasaki P-1 jets may have put a wrench in the Philippines’ intentions to buy new maritime patrol planes. Japan’s Orions are generally acknowledged to be the best maintained out of all existing models currently in service; it would not have been a far jump for the Philippines to succumb to the idea yet again of gaining incremental improvements at a lower acquisition cost. It is that type of thinking that needs to be burned out of national defense planning. While the policy reversals by Aquino’s military leaders may simply boil down to branch politics and lame-duck hi-jinks, the impacts are all too real. Further delays and distractions to a modernization program beset by corruption and failed bids negatively impact the ability to exert territorial control and preserve Philippine claims in the contested areas. 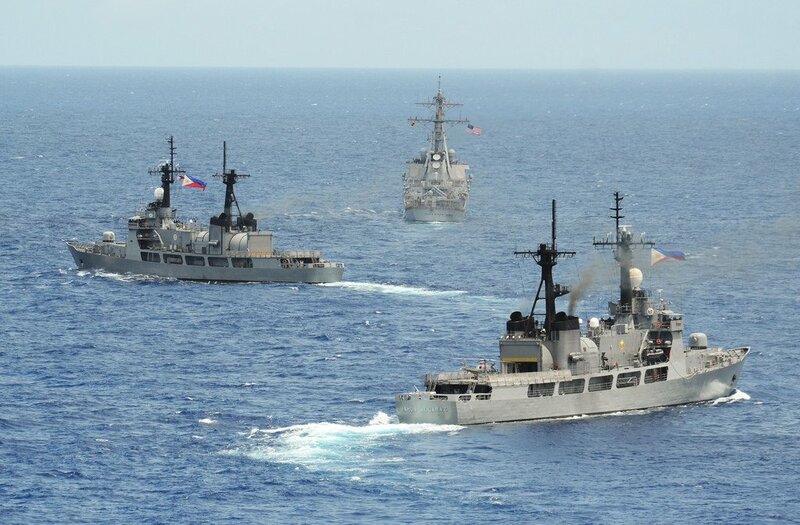 It is increasingly obvious that the Philippines need to pursue several courses of action. For modernization, the program must get back on track and focus solely on new Day 1 turnkey weapon systems. The capability gap is too large to bridge by relying solely upon EDA. 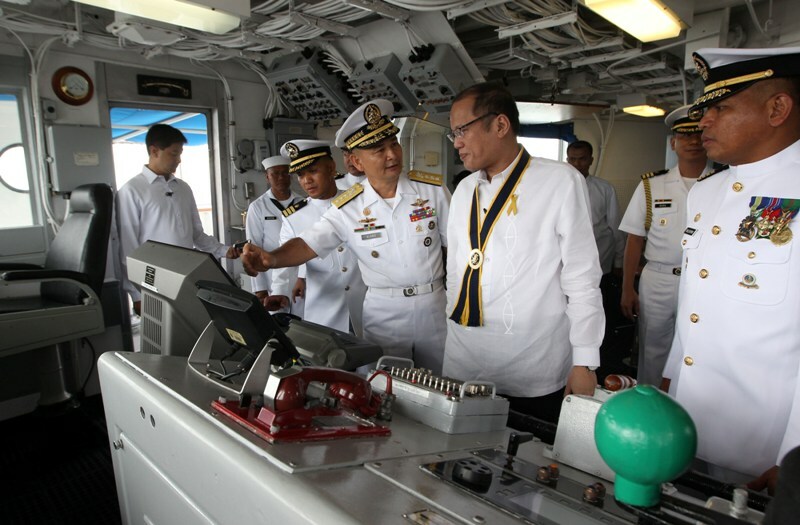 Even in cases where new build is achieved, such as the purchase of strategic sea lift vessels from Indonesia, the ships are missing weapon systems and potentially sensor/communication suites upon delivery. This so-called “fitted for but not with” practice degrades any initial investments in modernization by deferring to properly provision an asset and become fully mission capable. Secondly, despite a dearth of assets, the Philippines has a baseline of equipment from which they should start reasserting its claims and presence. One particular area that needs such tending is to address the Chinese presence at Scarborough Shoals, less than 200 nautical miles from the main island of Luzon. Finally, while the Philippine defense feformation effort at large has turned around a sinking vessel, it is still very much in doubt if the destination can be reached. There are still significant areas of improvement to be made, to reduce the potential of corruption, and to vastly improve the procurement and bidding practice to make purchases more flexibly and timely.